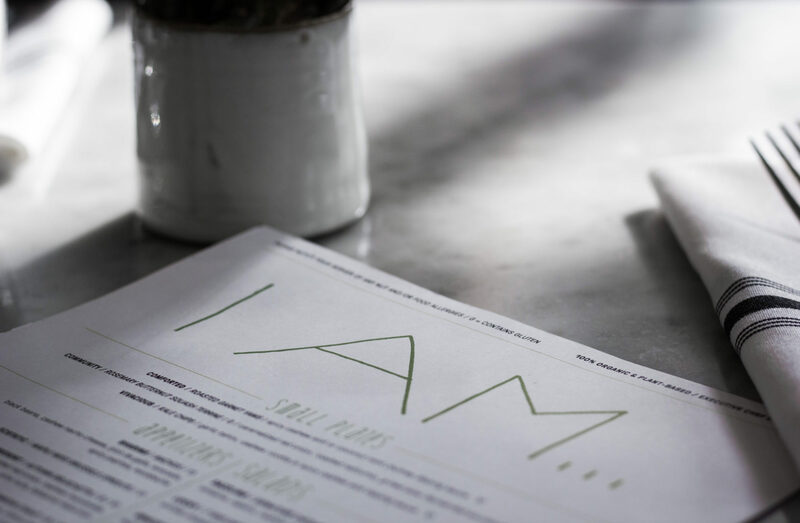 The menu is created in a way that emphasizes the saying you are what you eat. For example, my dish was called Whole, therefore I am Whole. My friend’s dish was called Awesome, therefore She is Awesome. When the server found out about my allergy to most nuts, she busted out the “Book of Truth,” a detailed menu which allows you to choose the best substitutions for your allergies if you are stuck on a dish. I always acknowledge and admire restaurants that take allergies seriously and go the extra mile to make sure their food is not only safe and enjoyable regardless. And lastly, I loved how we were asked a thought-provoking question of the day to start off our meal: what is your purpose? This led us to converse about the upcoming year and what our New Year resolutions were. Two weeks ago, I had already begun to start listing things: learn a new language, visit a new place every month, cook a new dish every week, etc. However, I did a complete 180 in the past few days and decided to do it differently. It’s only been a few days into 2017, but I can already feel the difference that the new year holds. Instead of making a list of resolutions and goals to achieve by the end of this 365-page book, I’d like to enter with a different mindset. After years of asking myself the same questions at the end of the year, what has this year brought me? what have I gained? what did I accomplish?, I now realize how limiting that can be to a person’s growth. Instead of a list of resolutions, I opt to ask myself what can I bring to 2017? What am I grateful for? What can I give? Placing myself in this mindset opens up a world of possibilities and challenges me to ask more of myself. I challenge you to think of these coming months in a different light; figure out what you have to give this year, and 2017 is yours.